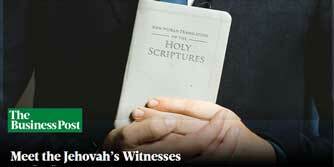 On this page, you will find a wealth of information relating to the Don’t Give Up Convention of Jehovah’s Witnesses. You can view or download all the talk outlines, all the multimedia and the 3-part feature film. You can also download all the videos that will be shown by each speaker. Follow along with the speakers at your own local convention! To cater for those who cannot attend the convention this year, for whatever reason, you can download videos of the complete talks. Download links are found at the end of each session. Download all the talk outlines in PDF format here. BETHEL SERVICE Baptized publishers 35 years of age and under who are interested in serving at Bethel should plan to attend the meeting for Bethel applicants on Friday afternoon. The exact location and time for this meeting will be announced. SCHOOL FOR KINGDOM EVANGELIZERS Pioneers between the ages of 23 and 65 who are interested in expanding their ministry are invited to attend the meeting for applicants to the School for Kingdom Evangelizers on Sunday afternoon. The exact location and time for this meeting will be announced. ATTENDANTS The attendants are assigned to assist you. Please cooperate fully with them by following their direction with regard to parking, crowd movement, seat saving, and other matters. BAPTISM Seats for baptism candidates will be reserved on the main floor in front of the stage unless otherwise indicated. Candidates for baptism should be seated there before the baptism discourse begins on Saturday morning. Each one should bring a towel and a modest bathing suit. CONTRIBUTIONS At considerable cost, arrangements have been made to provide adequate seating, a sound system, video equipment, and many other services that make attending the convention enjoyable and help us to draw closer to Jehovah. Your voluntary contributions help to cover these expenses and also support the worldwide work. For your convenience, clearly marked contribution boxes are located throughout the facility. All contributions are very much appreciated. The Governing Body wishes to thank you for your generous support of Kingdom interests. FIRST AID Please bear in mind that this is for EMERGENCIES ONLY. LOST AND FOUND All unclaimed items should be taken to the Lost and Found Department. If you have lost anything, go to this department and identify your belongings. Children who have strayed from parents and are lost should be taken to this department. However, it is not to be viewed as a nursery. Please look after your children, and keep them with you. SEATING Please be considerate of others. Remember, seats may be saved only for people who are immediate family members, those traveling with you in the same vehicle, living with you in the same home, or currently studying the Bible with you. Please do not store things on seats that you are not saving. VOLUNTEER SERVICE If you wish to assist with the work involved in the convention arrangement, please report to the Information and Volunteer Service Department. 1:40 SYMPOSIUM: Enduring Despite . . .
9:40 SYMPOSIUM: How Jehovah “Supplies Endurance and Comfort” to . . .